Notwithstanding the death and disease that mosquito-borne pathogens cause around the world, the annoyance caused by mosquito bites can be seriously disruptive. 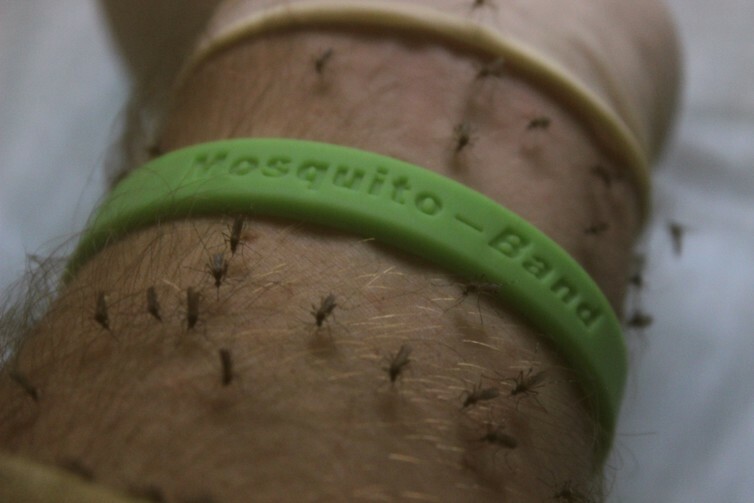 So how can you build a mosquito-free zone? First one, then another. Bite! Slap! Bite! Before you know it, mosquitoes are descending from the skies to disrupt your backyard summer soiree. How can such a tiny, fragile insect cause so much pain, suffering and annoyance? Notwithstanding the death and disease that mosquito-borne pathogens cause around the world, the annoyance caused by mosquito bites can be seriously disruptive (and yes, they might bite you more than your friends). The reactions to bites can be severe, and when swarms of mosquitoes swell in the suburbs, the impacts can be substantial. 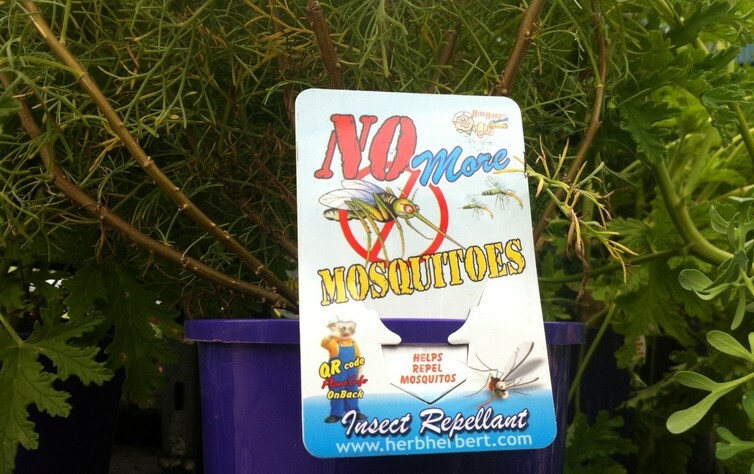 It may be impossible to stop mosquitoes flying in from local bushland or wetland areas. The mosquitoes breeding in your neighbours’ yard won’t have much trouble flying over the fence either, and while local authorities may instigate control programs and new technologies are deployed to reduce, replace or wipe out local mosquito populations, there is still plenty you can do to beat the bite of mosquitoes yourself. Here’s how you can build a mosquito-free zone around your friends and family. Just as you’d slip on a shirt, slop on sunscreen and slap on a hat to protect from sunburn, two of these three apply to mosquito bite protection too. Slipping on long-sleeved shirts and long pants will protect from mosquito bites. Darker colours tend to attract mosquitoes and even though pale clothing won’t repel mozzies, perhaps you won’t attract as many. Also, go for something loose-fitting so the mozzies cannot bite through to your skin, and perhaps rethink the skin-tight active wear for your next bushwalk or fishing trip. Slopping on some insect repellent is the best way to go. Pick a product that contains either diethyltoluamide (commonly known as DEET), picaridin, or “oil of lemon eucalyptus”. These products will all provide long-lasting protection, as long as they’re applied correctly. This is where the “spread” comes in. A dab of repellent here and there won’t work. A squirt on the back of your shirt or a puff above your head won’t do the trick either. Regardless of formulation, be it cream, lotion, gel, roll-on, pump spray or aerosol, there needs to be complete coverage of all exposed skin. If you miss a bit, the mosquito will find that chink in your armour and bite it. You can sweat it off, rub it off or wash it off while swimming, so keep in mind that you’ll need to reapply your chosen repellent throughout the day. Some people are reluctant to use these “chemical” repellents and feel anxious about perceived health risks. However, these products are used billions of times every year with very few reports of skin irritation or other adverse outcomes. You’re at far greater risk (from mosquito-borne disease) by not using these products. Even if you go looking for alternative products, such as those that contain plant-based ingredients, keep in mind these will need to be reapplied more frequently to provide the same level of protection. Some “home-made” repellents containing essential oils can irritate the skin, so stick with products that are registered with the Australian Pesticides and Veterinary Medicines Authority (APVMA). Is there an alternative to creams and sprays? You may not like the sticky feel on your skin but topical repellents are really the best way to stop mosquito bites. There are, however, a few options available that can at least reduce the number of bites and are worth a try. However, you should skip the wristbands and patches – they don’t work. Mosquito coils are a mainstay of outdoor life in many mosquito-plagued parts of the world. Studies have shown that they are good at reducing the number of bites, but not so good at preventing disease. To get the best protection, go for those that contain an insecticide, not just plant-based products, as they will kill any mozzies buzzing about. Smelly smoke will just make life uncomfortable for the mozzies. If the idea of a smoke-filled backyard isn’t for you, you can try some of the new “smoke-free” devices. Instead of a smouldering coil, there are some battery-operated and “plug-in” devices that release products that kill or repel mosquitoes. These devices typically release an insecticide from a heated pad or oil reservoir. These can be useful when used indoors at night to stop the pesky buzzing, but there are also devices that can be taken on the go. Whether you’re clipping them to your belt or backpack or sitting them on your picnic table, they won’t provide an impenetrable shield against mosquitoes but they will at least keep some away. Browse your favourite app store and you’ll find a stack of apps claiming to keep mosquitoes at bay. Most claim to emit an ultrasonic sound that mozzies don’t like. But the reality is that a mosquito on the search for blood isn’t put off by anything! Long before smartphones hit our pockets, “sonic repellents” were marketed as an alternative to topical repellents and mosquito coils. There has never been any evidence that these devices work. Mosquitoes do respond to sound – but generally only the males who are on the lookout for love. And males don’t bite anyway. Take the fight to the backyard! Perhaps the best option of all to keep the bites out of your backyard is to stop mozzies breeding there in the first place. Any water-holding container, from a rainwater tank to a wading pool, or even an upturned bottle top, can be home to mosquito wrigglers. You could apply insecticides to these habitats but the better option is to tip them out, cover them up or, in the case of rainwater tanks, ensure they are screened to prevent mozzies getting in and out. Cleaning up your backyard is a pretty good idea too. Mosquitoes do love a shaded backyard, and unfortunately there are no plants you can add to garden beds that keep mosquitoes away. While the concentrated extract of some plants may work as an insect repellent, the trees and shrubs themselves do not. There is still a lot to be done to ensure the public is adequately informed when it comes to mosquitoes and the health threats they pose. If we can get a bit more slip, slop and spreading happening this summer, perhaps a few more Aussies will avoid getting sick from mozzie bites. To find out more about the process health authorities undertake to decide what mosquito avoidance measures to recommend, see this recent publication in Public Health Research and Practice.